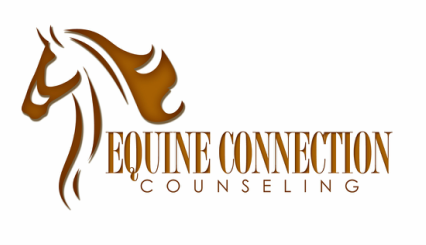 Thank you for your interest in Equine Connection Counseling! Do you have a client who seems stuck? A client who is unsure about traditional office therapy? Or a client who is just looking for something different? In our practice of equine assisted counseling, we have found we often have great success in working with clients for whom traditional office therapy has not worked, who are feeling stuck, or who are not ready for office-based therapy. Our clients report that being out in nature and interacting with animals is extremely calming and nonthreatening, enabling them to feel safe to explore their concerns in greater depth. Whether you are looking for a new primary form of therapy for your client or an adjunct therapy to augment the work you are already doing, we are happy to help. Based on your client's unique needs, together we can determine the best course of action. We look forward to the opportunity to partner with organizations, community agencies, and private practitioners. Equine assisted counseling can be helpful in addressing a number of mental health concerns including attention-deficit/hyperactivity, addictions, trauma and abuse, PTSD, depression/mood disorders, anxiety, stress management, relationship issues, parent-child issues, behavior management, grief, eating disorders, and social skills/communication issues. We offer individual counseling, couple/marital counseling, family counseling, parent training, group counseling, and play therapy.